1. Saute garlic, onion, potato for few minutes then add carrot and chicken. 3. Add curry powder and cream. 6. Then turn the knob into low heat. 7. Simmer for 15 minutes. ****Note: some curry recipes I observed may have thick-half cooked curry powder. 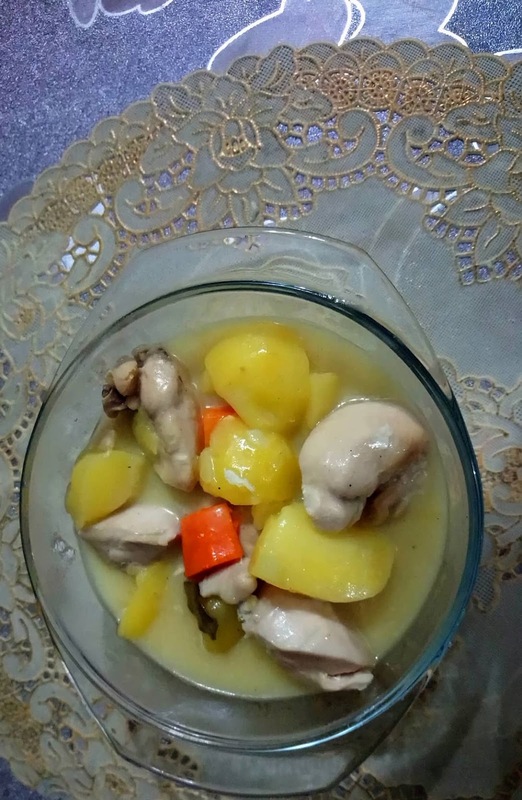 To achieve this cook chicken and veggies well before adding the curry mixture with minimal or without milk/cream and a small amount of water. Just cook it like a dry starchy pasty-looking.